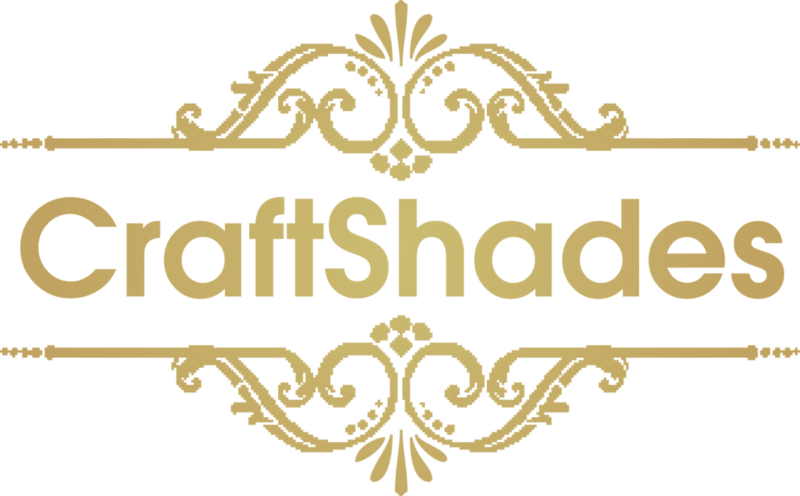 Leather Diaries Archives - CraftShades Inc.
CraftShades is one of the largest leather diary manufcaturers in India. 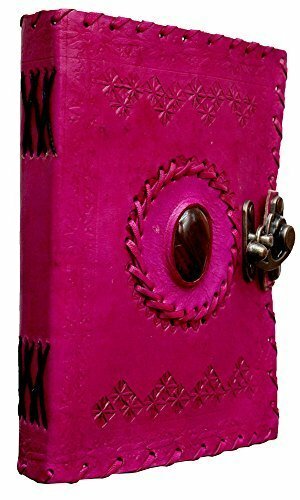 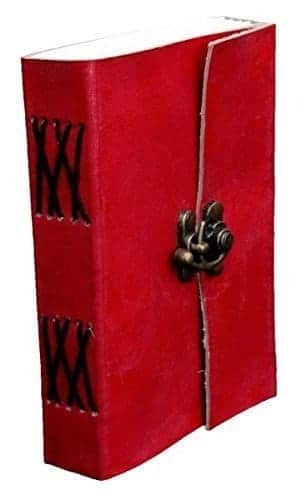 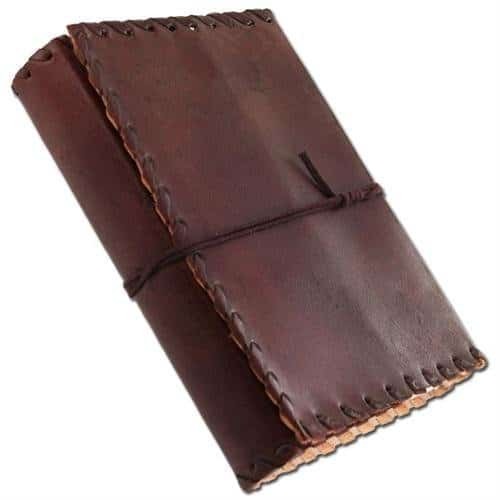 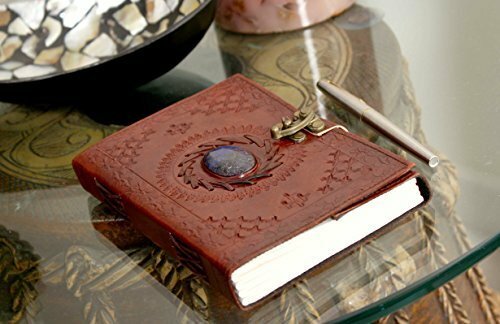 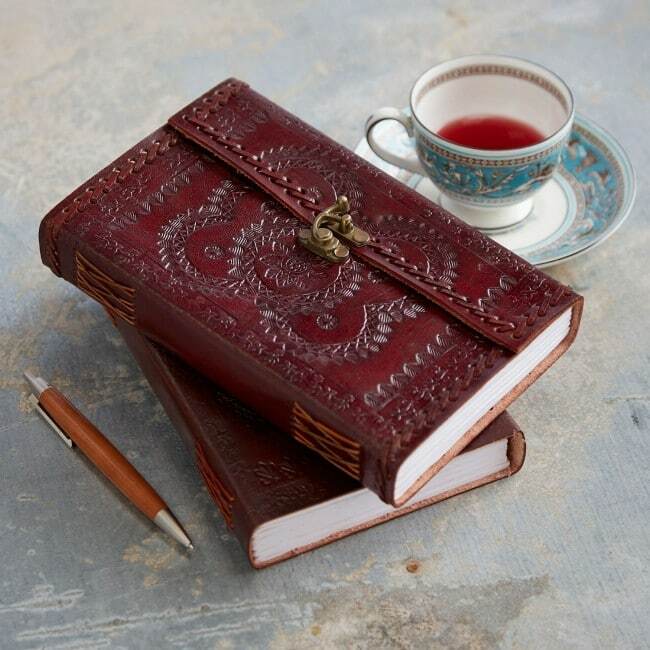 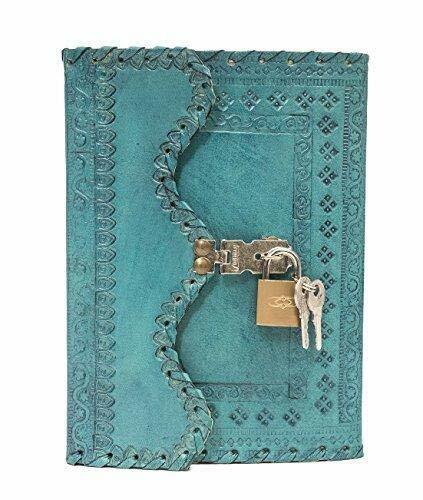 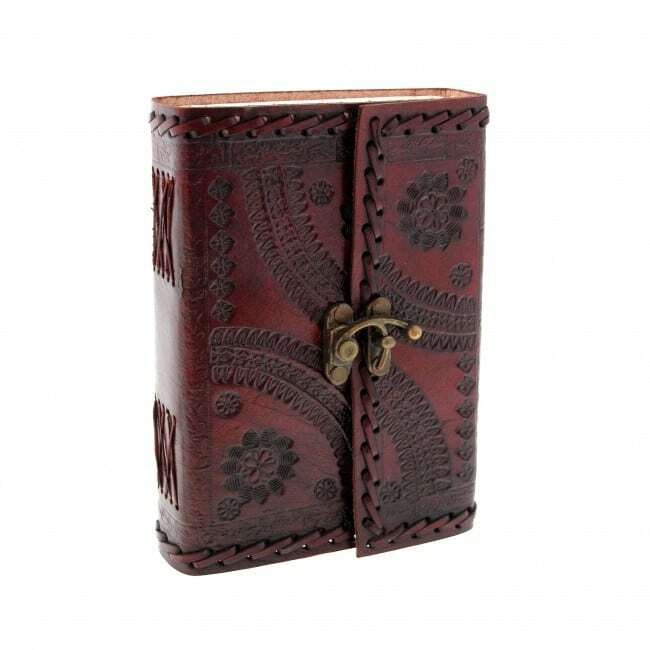 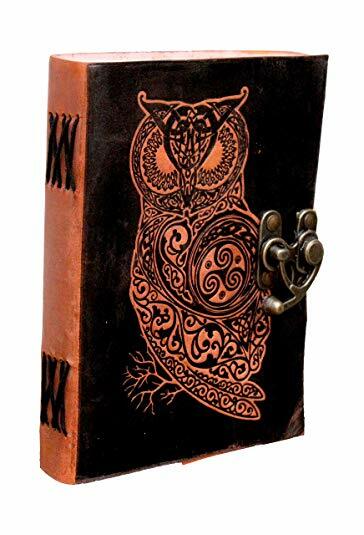 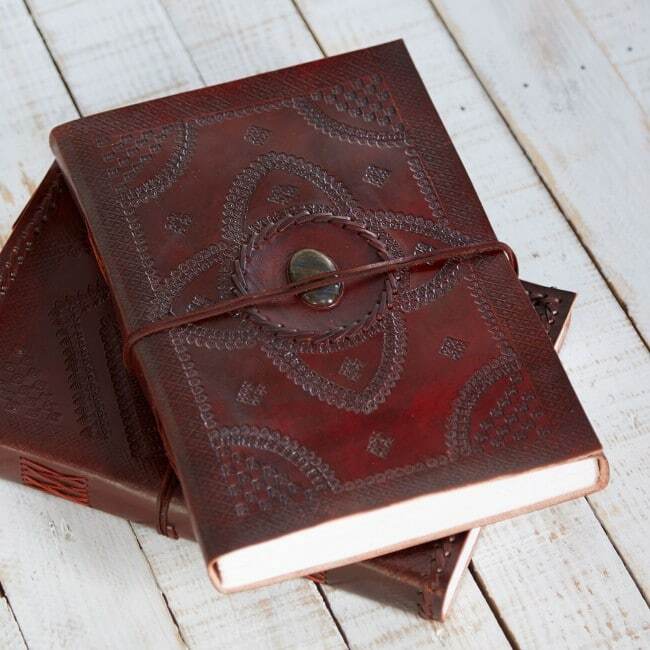 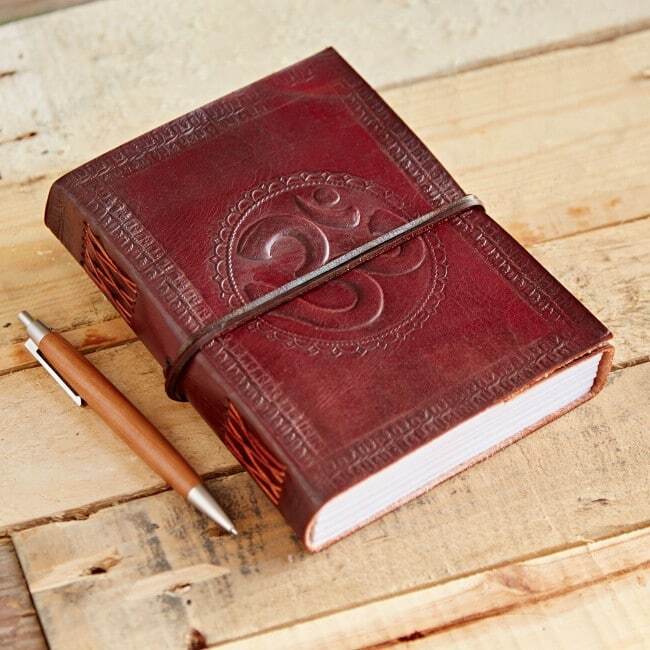 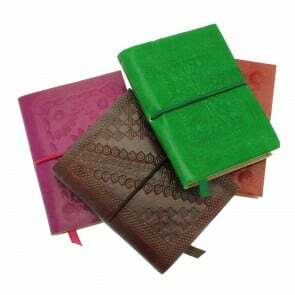 We make leather diaries, leather journals, leather diaries with handmade papers. 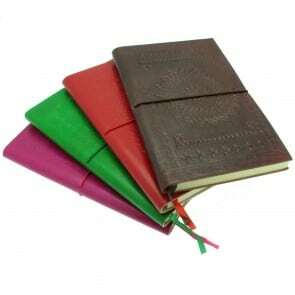 We make all our dairies in multiple different dimensions. 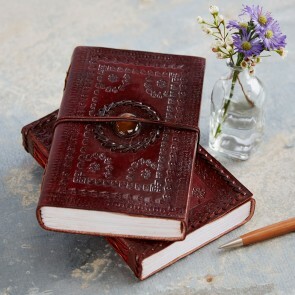 The quality of our leather diary is so good. 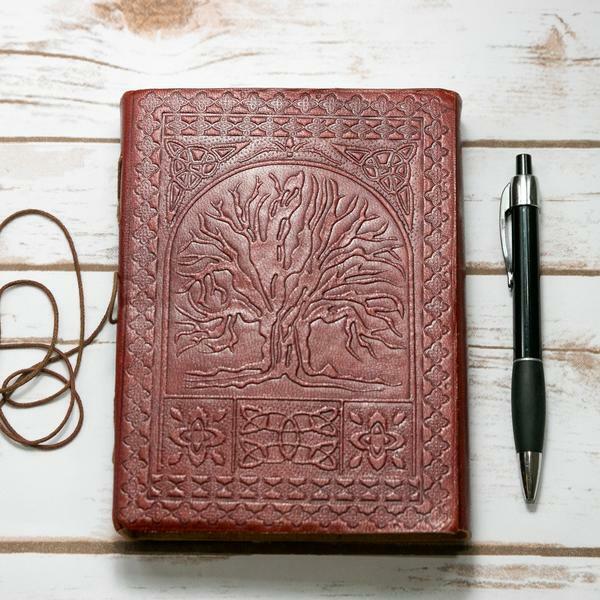 This journal will help you organize your days, weeks and years. 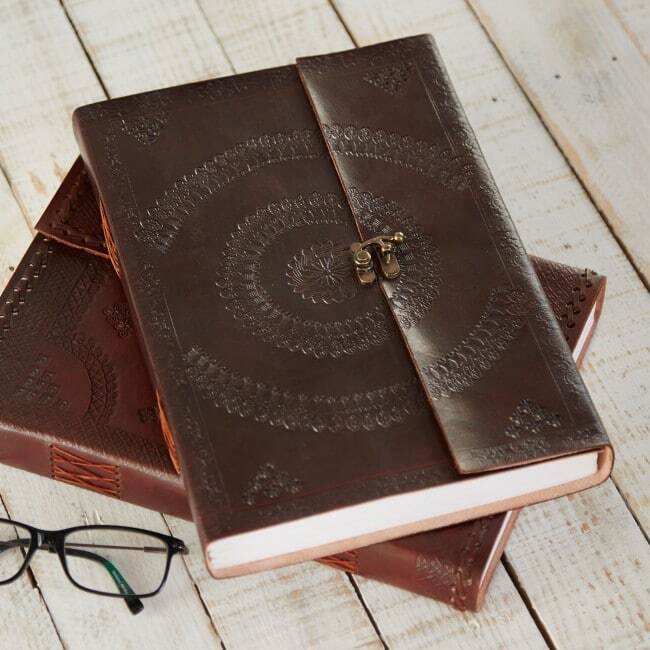 It has unlined pages which enable you to doodle, scribble or write.It is light and doesn’t take up too much space; be it your bag or desk. 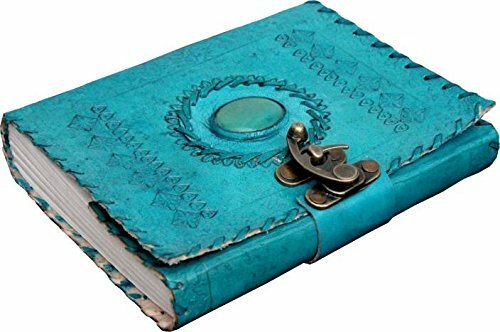 It looks pretty anywhere. 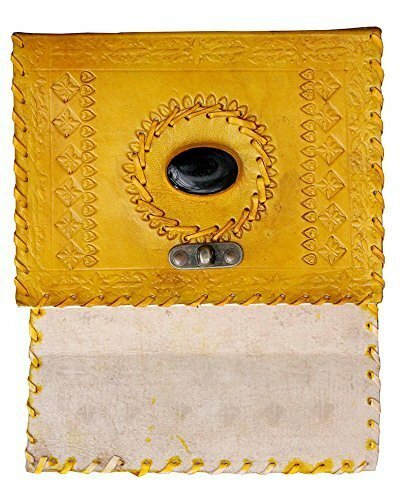 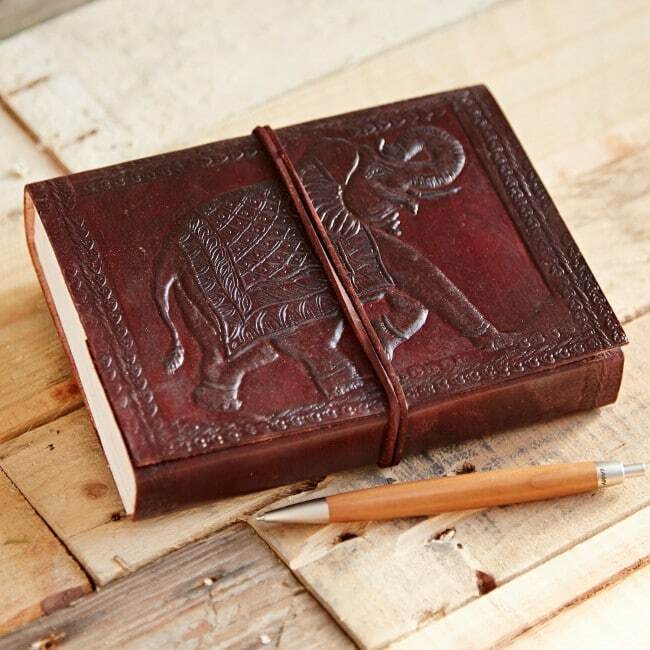 HANDMADE PAPER: The artisans in Rajasthan have woven 75 sheets 150 blank handmade pages to synthetic leather and the journal has parallel stitches giving it a sturdy spine.